An old ”mama” also picks up the information material. We hope someone will explain it to her! 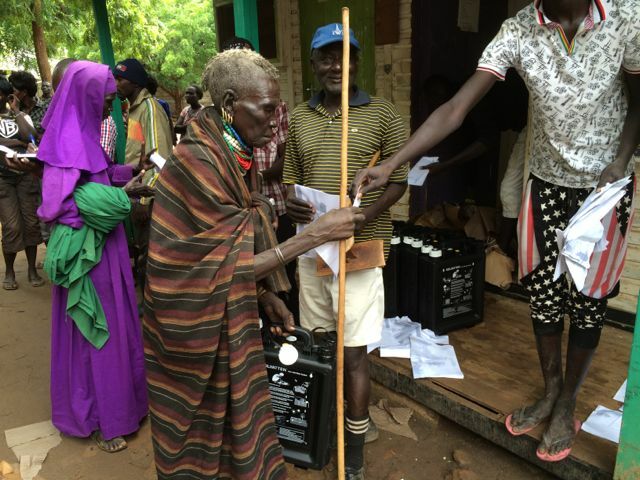 On Friday last week, some one thousand households got their jerrycan through distribution by a Norwegian organization Norwegian Refugee Council based in Kakuma, 90 kms away. They run a number of important projects including a tree and plant nursery where we have also been able to get plants for our school and the community. 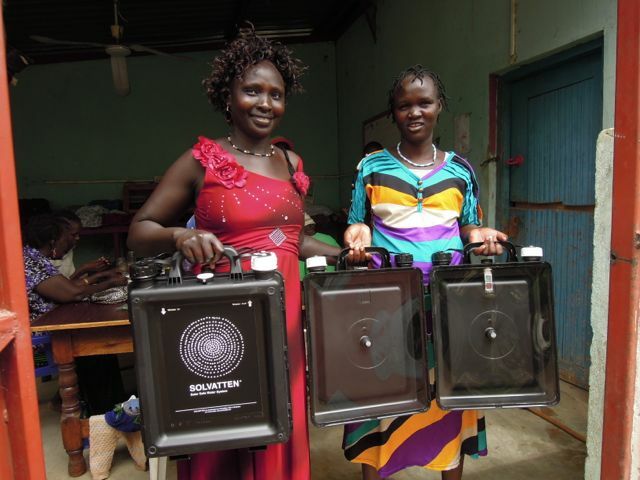 A number of our ANA-women were also happy recipients of a Solvatten. And I could proudly explain to them that this was an invention by a Swedish mama! And they thought that this was really cool! 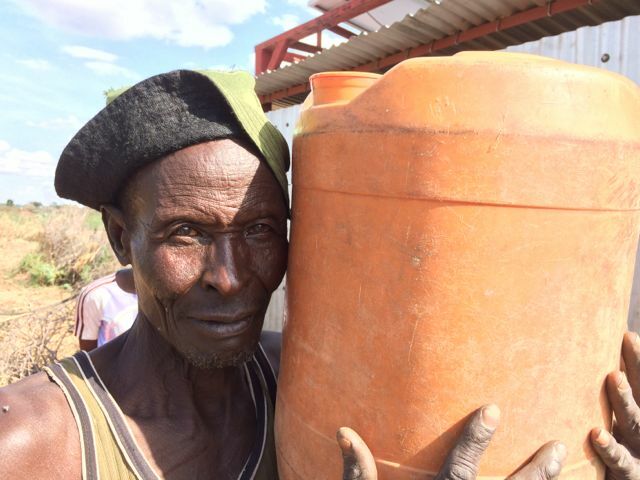 Just hoping now that all who were blessed with this early Christmas gift – Solvatten – but who can’t read (many of the jerrycans were signed out by means of thumb prints) will also have somebody around to read and explain proper use of the Solvatten jerrycan. Black lid for inlet, white for outlet etc. Teachers and students shout for joy when we were properly Skype-connected to Örebro! 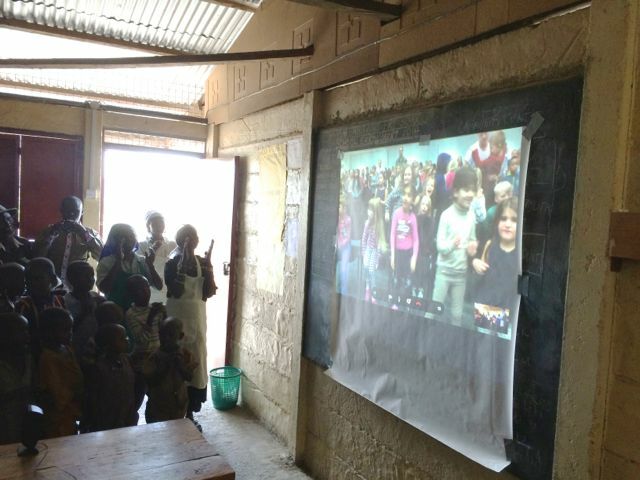 You should have seen the excitement and also the serene atmosphere when we established, for the first time a real Skype-session between teachers at our school and the Hannaschool in Sweden (where Birgitta is doing her last year now). And it was no less awesome when we linked up children from the two schools the next day. Hannaskolan in Örebro on the screen! 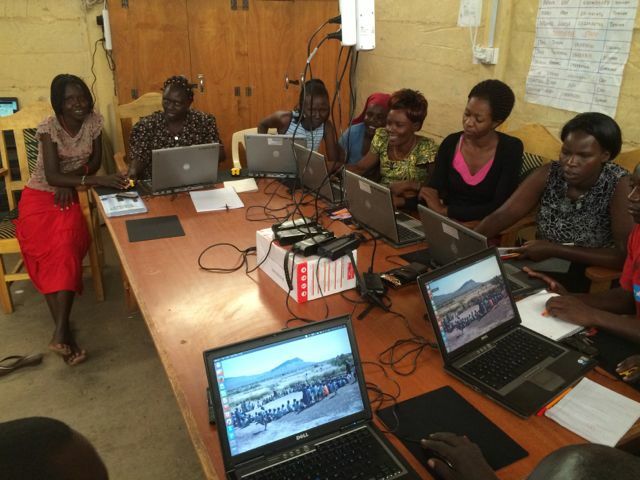 I’ve also been busy with computer courses for the teachers, most of them beginners. The children were singing, asking each other questions, making funny faces of course, and the session ended by all of them from both continents singing together: ”I’m walking in the light of God”. The school year is finished and the children are enjoying their long Christmas break. But thanks to sponsors’ money we can continue to serve them food 3 times a week. Many of them receive very meager feeding at home! 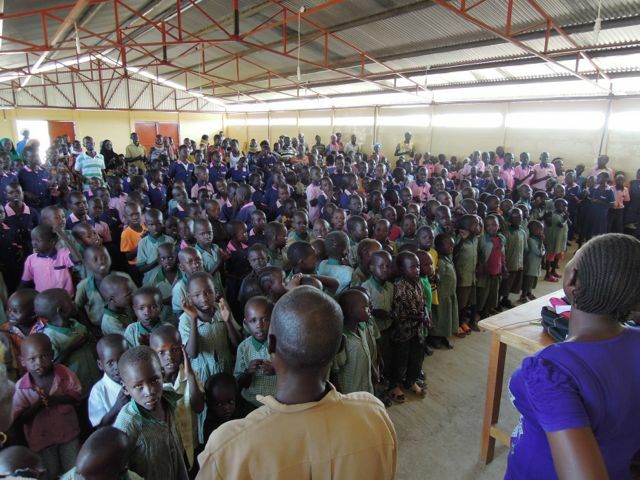 In January we’re cranking up with yet another class, 5th grade and there will be some 500 children in the school. A mega challenge, especially financially. We need the equivalent of 500 sponsors who will give 15 USD / month per child in order to cover all the costs of food, staff salaries, material, maintenance etc. etc. Three years ago, Birgitta got a an envelope addressed to Victor. 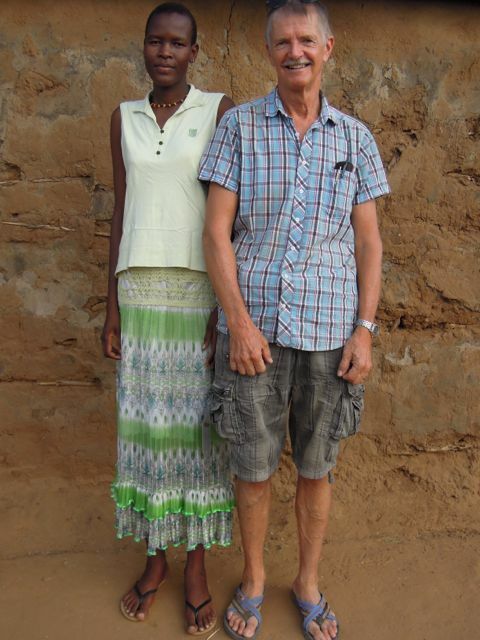 (when the Turkana stumbles over saying Birgitta, it can sometimes sound as Victor!) Triza Amoni, who had just completed her first year in secondary school, told us in the letter of her predicament. And her mom showed up a little later also pleading on behalf of her daughter whom she wanted to be able to continue her secondary education. Triza had some definite ambitions to get somewhere in life, but her poor little mom was lacking any means of paying her school fees. And her stepfather he also had some clear intentions for the girl, but in a totally different direction: He wanted to marry her as soon as possible because she would bring him lots of goats, cows and other animals in dowry! 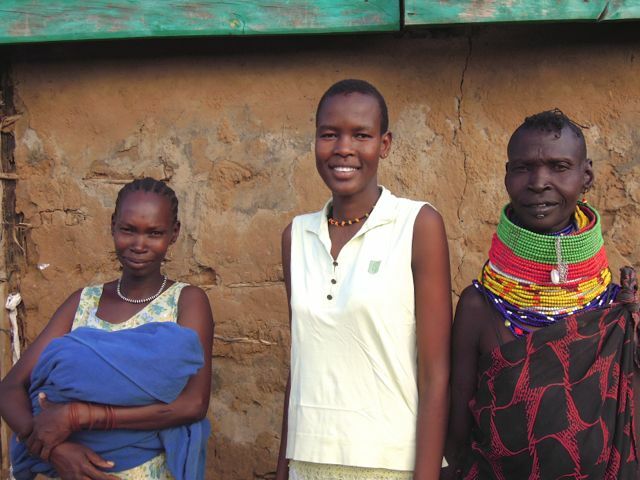 Triza with her sister, niece and her old, but very wise mother! Thanks to faithful sponsors (at the cost of 45 USD /month) Triza hs now been able to sit her Form 4 exams and she is eagerly waiting the results which should be out sometime in February. 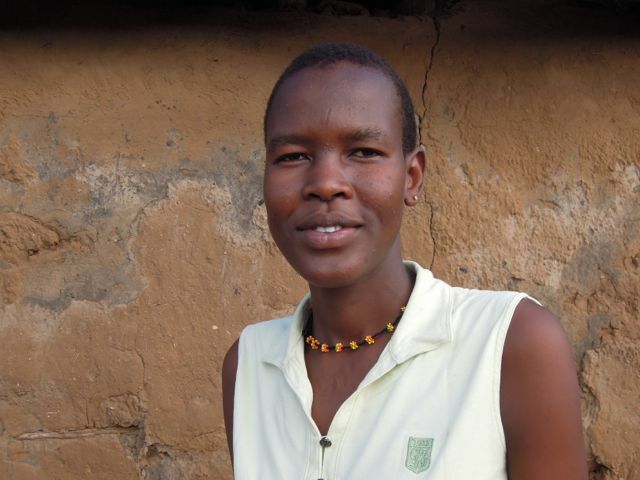 When we visit Triza in the village she’s sharing some from her time at school and how she was the captain of the basket team – and of course prime scorer! Her dream is to get at chance to pursue university studies to become a lawyer. – I want to serve my community and especially my own people group in order to fight for the rights of women and girls in particular! Indeed a laudable ambition and we hope that one day she will see her dream come through. 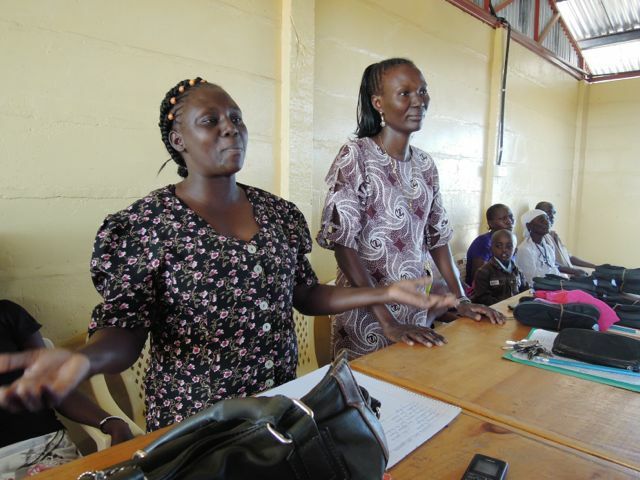 If her KCSE results are good, she might even stand a chance for scholarship…. Lets hope! 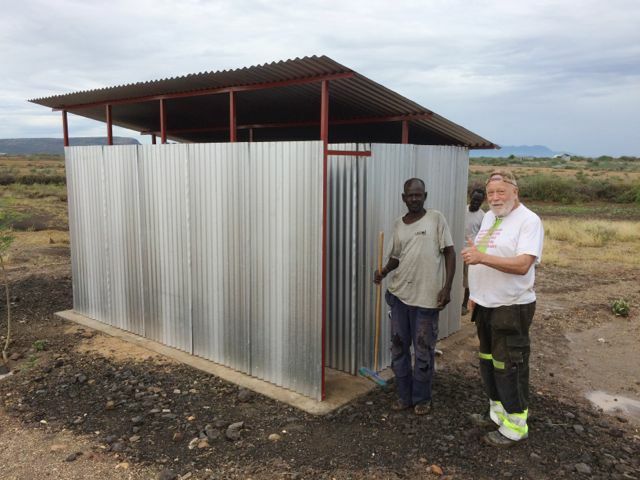 Latrines – for Health and Environment! James Egot with sons Ezekiel and Stephen. Very happy for his latrine! The other week I ran around on our motor cycle from settlement to settlement in order to inspect some of the 70 latrines which we have been able to make and install for the Loki-people. 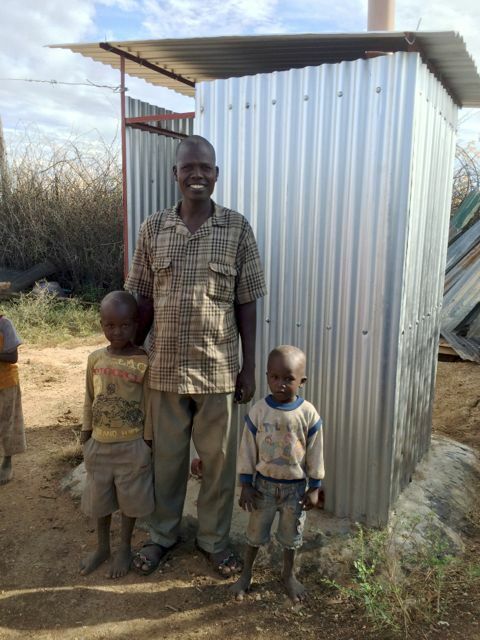 – Now were much healthier because of the latrine and we’re so thankful for it! – But when will we get our own latrine??? Hard to believe that some of the latrines will serve up to 20 households, just because there aren’t any others nearby. When the hole is full in some years, the whole assembly can easily be moved to a new hole and then a tree be planted in the old one, now filled with excellent compost! 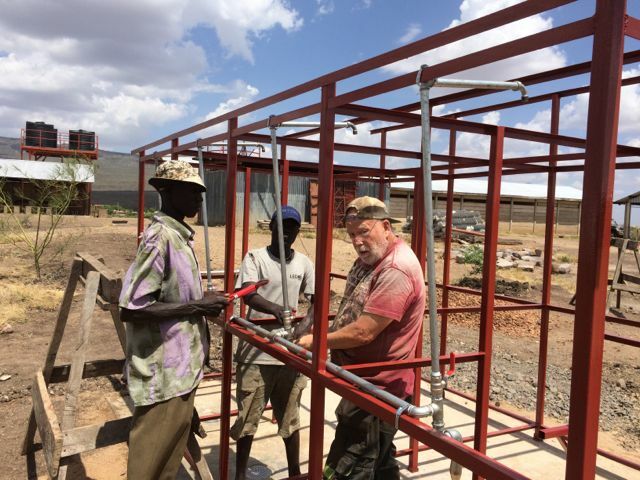 James delivers water from our bore hole to house holds in his community. 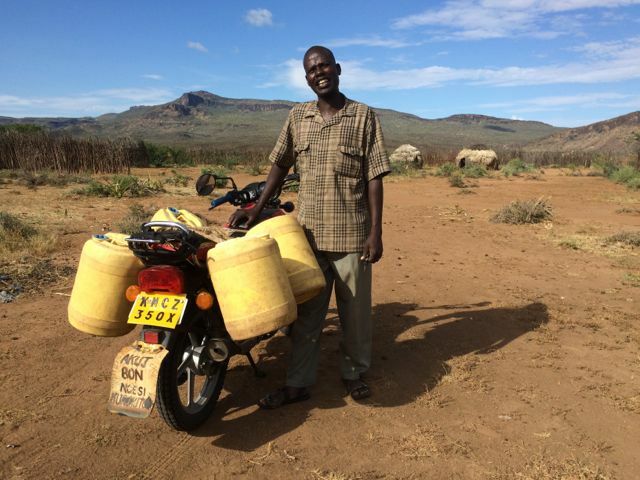 Sometimes he carries up to 6 jerrycans on his motor cycle! 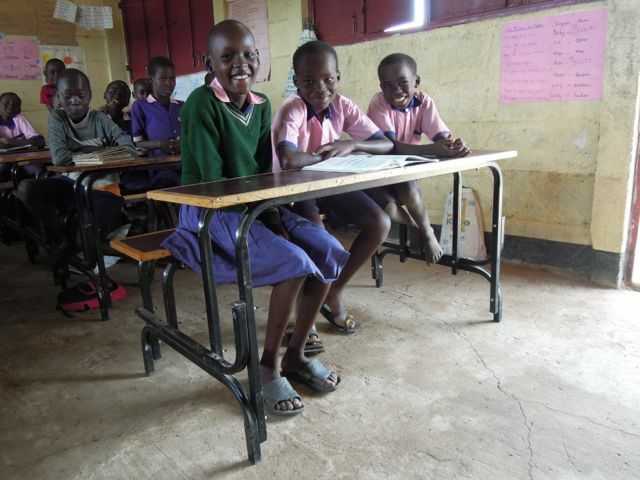 We need School Desks – Can You Help us! The Principle Moses Areman pleading for desks to his empty classroom where the 6 graders have to sit on the floor! This cry came for the principle of Loki Mixed Primary school, Moses Areman. 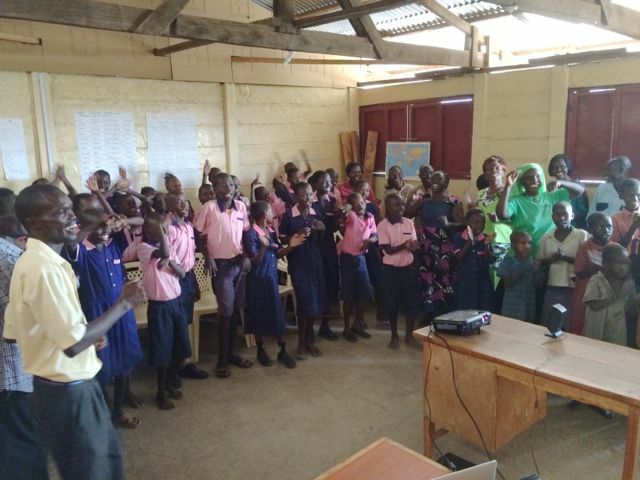 This school is just behind our compound and Birgitta and I often hear the youth singing in the evenings or practicing with their choir for participation in the Kenyan National School Choir Contest. This year they were second in the final! I was aware that the school had very tatty desks, but i couldn’t imagine it was so bad! 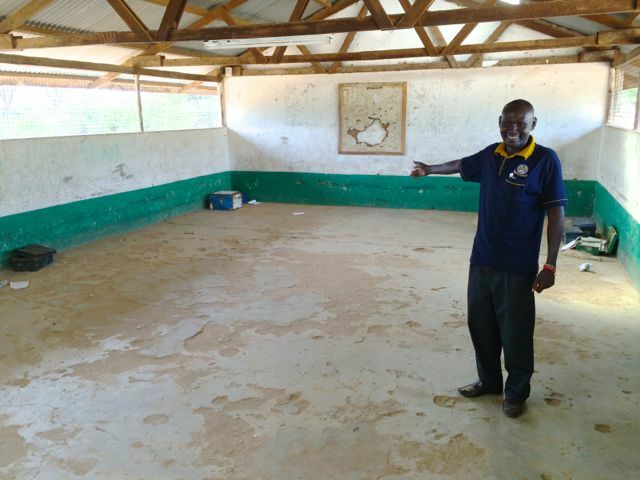 Entire classrooms without a single functioning desk in a school with 1,700 students whereof 900 boarders. – Yes, they sit on the floor, affirmed Moses. 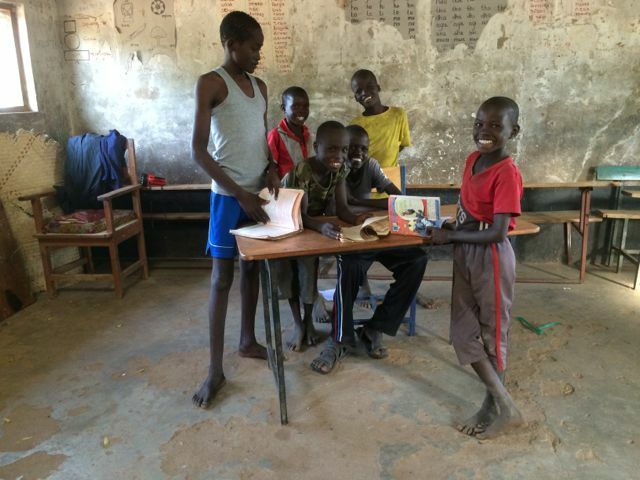 And despite these appaling circumstances the school rates the best in the whole of Turkana this year – academically. 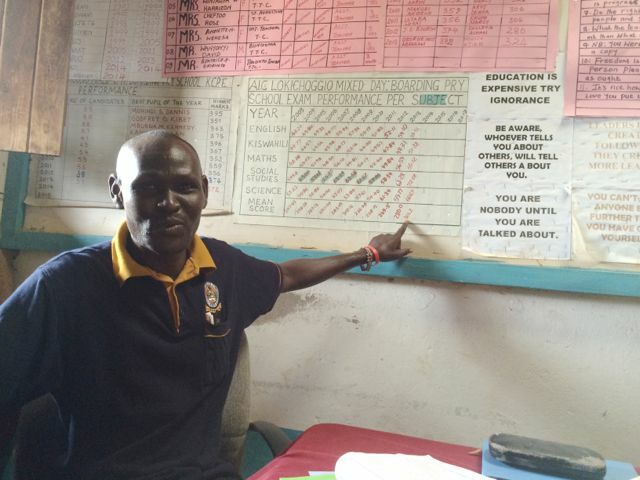 Moses showing the position of the school – no one in Turkana! So listen to this you ”westerners” who put so much trust in nice buildings, computers and other sophistications thinking this is the solution for our kids’ education! The attitude of the individual and support by parents/guardians is still the chief cornerstone for learning and getting somewhere – combined with good teachers of course! – What are you doing here? I asked. – We’re from the bush and aren’t allowed to come home during the breaks! – Don’t your parents come and visit you here then? – No…, perhaps in a couple of years! In the distant, we could see a fire being lit under a casserole. These guys even have to cook for themselves! These young boys who have no family nearby have to do what they can to fend for them selves at the school, cooking, washing clothes etc! It’s usually very hectic when both of us are here, Birgitta and I. But these last two months in Loki have been a little bit extra busy to say the least! So you can imagine that I’ve been missing my wife! We kind of work as a team and this year, half of the team is busy in Sweden (apart from her teaching job) trying to promote our work there, the need for more school sponsors, selling products from the Women’s project etc. Some of you are following us on Facebook. For the rest of you, below are some few glimpses from the last few months. 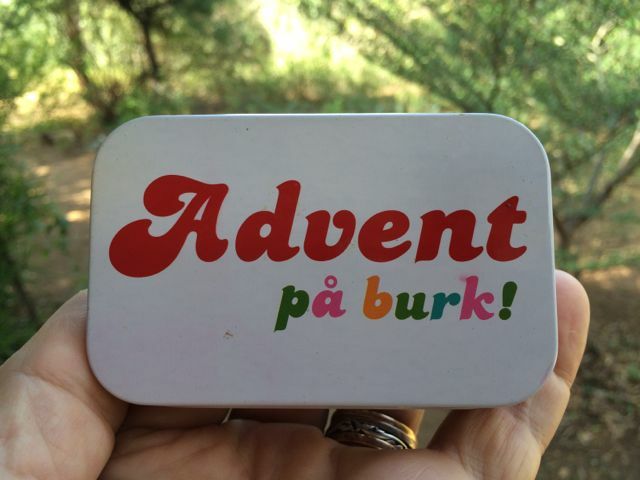 Advent in a tin – when other decorations are missing! We have just celebrated 1:st Advent (an important event in Sweden). Virtually all homes in Sweden are well lit up by candles, shining stars and other decorations which will brighten up the season – and also remind us about the coming of the Saviour of the World – Jesus. Christmas is here, very soon, and with it comes Birgitta! Together we want to wish you our followers, sponsors and intercessors, our Saviour’s blessing for coming Season! Gunnar Jonsson, who turned 71 the other day, came to work with us for 3 months last year. Now he is back again, busy building the school showers, managing his team, and gets a number of things done which I haven’t gotten around to yet! A true hero! Flying with MAF of course! John Ekal and Gunnar. Thumbs up for a well finished work! 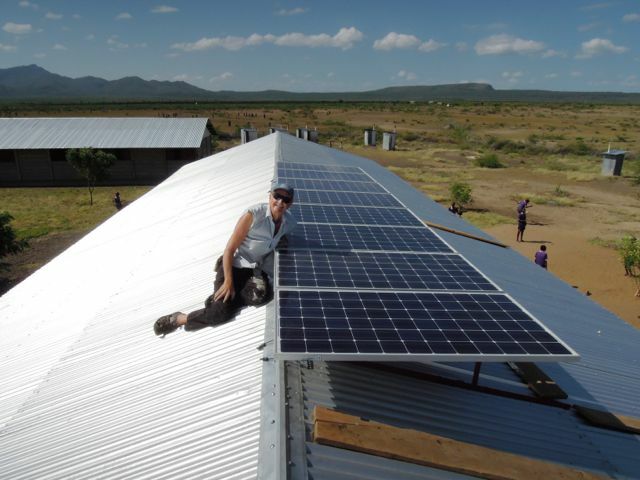 It was a wonderful day, about a month ago, when I could flip the change over switch to Solar, which now supplies the whole school with ample power for lighting and other consumers. 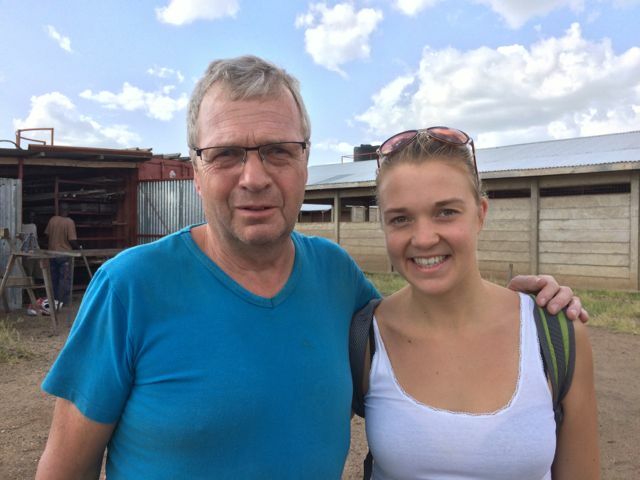 Had some good assistance from Bertil Andersson from Aneby, Sweden, who was out with his wife and daughter. 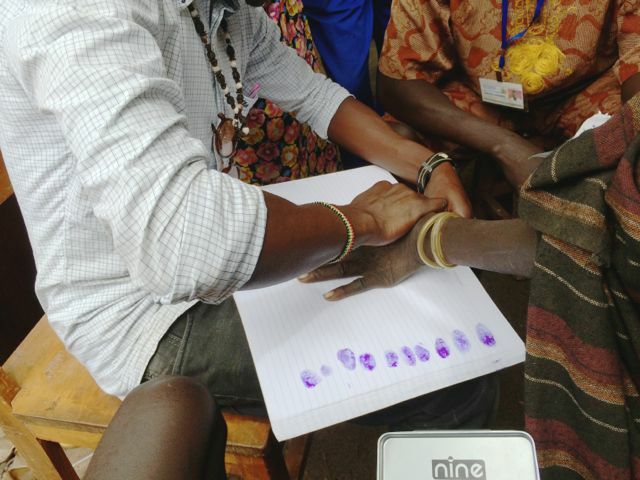 Gunilla, the wife, is a mid-wife and had come out as a volunteer for the Scandinavian Doctor’s Bank who are involved with the local clinic here, especially in the area of mother and child health care. 8 solar panels at 190 Watt each when the sun is beaming bright! 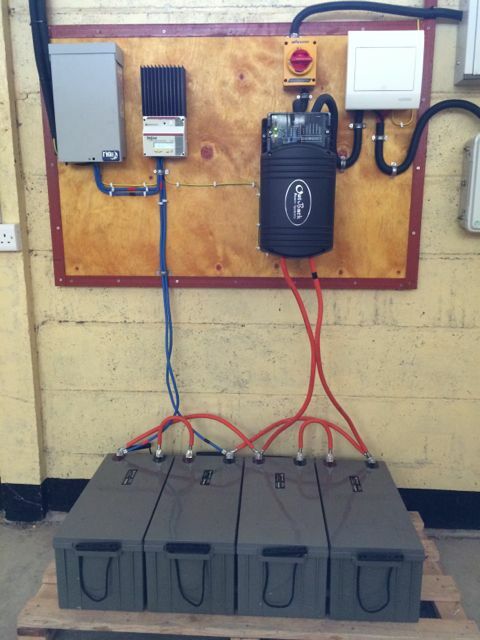 Controller, batteries, inverter etc. for the Solar Power System. Bertil with daughter Axelina, who is a medical student and also wanted to get a feel for the Loki-life. I was almost moved to tears when I saw the impressive sight of children, parents and staff filling the Birgitta Hall on the day of school closure. A sea of children, parents and personel! Lucy, our deputy head teacher – interpreted to Turkana by Agnes – two of our ”rocks” in the teaching and running of the school. 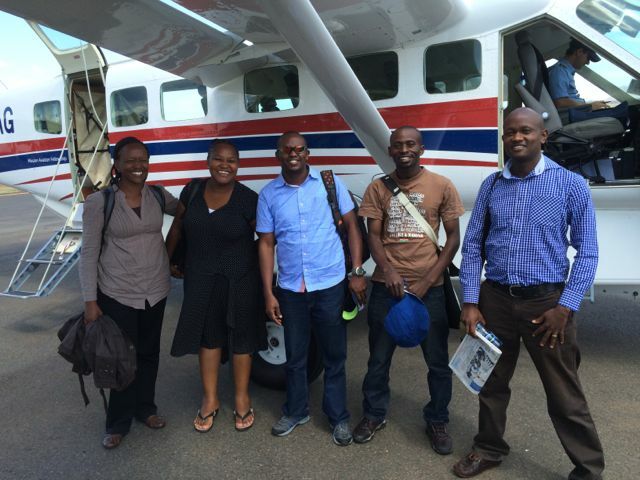 We’ve had visitors from I Choose Life and World Relief in Nairobi, as well as from ”Senior Pastors” from our church in Nairobi, Kilileshwa Covenant Community Church. We’ve had seminars and looked at several areas where these organisations and church, could get involved here in Loki, such as farming, training of pastors and leaders etc. to the help of starting small income generating projects and business. The needs are great and we’re thankful for Kenyans who are willing to come and lend a hand in this remote part of the country! We’re about to start manufacturing another 100 desks to be able to offer to other schools in the area. Sponsors are welcome! Even men can carry water! This is at our water-well!